New Directions: To keep the peace – really? Following the recent death of Aaron Driver in circumstances that have raised many questions, it is understood Commissioner Paulson is recommending a bold step forward. As can be discerned from recent comments made by an equally somber Ralph Goodale, the Minister of Public Safety, it appears the RCMP Commissioner has encouraged the government to look at new ways of getting not only potential terrorists off the street but also a large portion of those who seem to be headed towards a life of crime. A first step would be folding terrorism back into the Criminal Code rather than treating it as a separate offence within Bill C-51. That simple change would free up tens of thousands of highly trained investigators and millions (closing in on a billion) of dollars that could be applied to combating crime. In short, the Commissioner now agrees a terrorist act can be easily dealt with using standard criminal titles such as high treason, homicide, attempted homicide, threats, making an explosive device, possessing prohibited weapons, conspiracy, etc. On the surface, this makes good sense. Look at any Canadian police lineup that includes both criminals and terrorists and it would be impossible to tell the difference. It is only when you dress up terrorist to look like a terrorist that the difference becomes obvious. For instance, in my career as a police officer, the balaclava was the face cover of choice for bank robbers (see Oak Bay Bank Heist). I have no idea what bank robbers wear today, but I’ll bet they’ve moved away from the black balaclavas. (Conspiracy to rob the BC Ferry Terminal at Swartz Bay). Wear that mask for a robbery today and there would be a thousand security officers swooping in to take them down. The Aaron Driver Case: Was it another “Suicide by Cop”? Photo (Web Source): (Aaron Driver, an ordinary Canadian sitting at his computer desk). Driver was shot and killed after setting off some manner of smoke and mirrors explosive device in the back seat of a taxi that had just picked him up at his residence. While the explosion did not harm either Driver (who was holding the device) or to the taxi driver who picked him up (more at CBC news), the fusillade of bullets directed at Driver immediately after the explosion certainly completed the task. Media reports suggest that after the initial fusillade, a half dozen more bullets penetrated Driver’s body when it was noticed he was still twitching. Nice and clean. No trial, no pesky little questions about police tactics and nothing about who knew what in the lead-up to this carefully crafted takedown. In a country with very few terror inspired events, it seems likely our security services must make the best of that which is handed to them on a platter. Of course, a challenge faced by the RCMP and the other spy agencies is the extremely small pool of potential terror suspects like Driver, Korody, Nuttall, Chiheb Esseghaier, Raed Jaser and a half dozen others (the Toronto 18 for example) that exist in Canada. Further, our terrorists seldom look like the terrorists portrayed by the media. As in all terror cases, unless the suspect is Muslim, the RCMP, CSIS and the CBSA is seldom able to find any direct connection between the suspect and terror groups such as ISIS. Aaron Driver is but another example. Photo (Web Source). 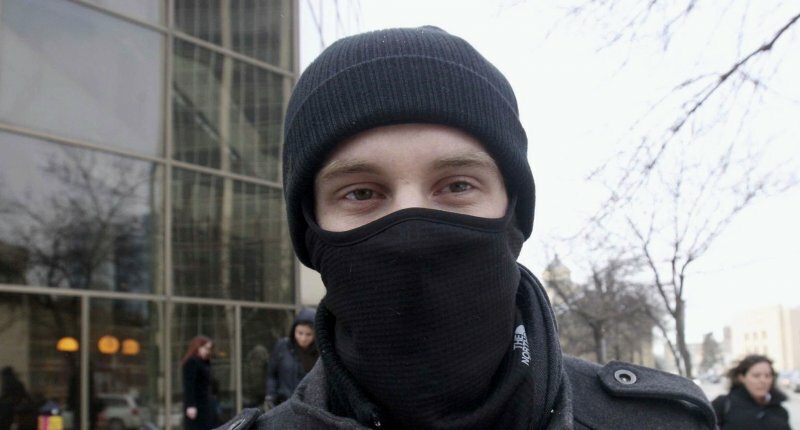 If during the summer, Aaron Driver and others like him had worn a black mask, it would have been much easier to identify him (and others like him) as terror suspects. In this photo, the smile in his eyes suggests he may be joking around. On the other hand, the mask may suggest it’s bitterly cold outside. In relation to the most recent incident, it appears the Commissioner has come to realize the vast majority of criminal offences committed in Canada are committed by ordinary Canadian criminals and not by so-called ‘terrorists’ or ‘terrorist sympathizers.” The Commissioner now recommends that under the new laws (if passed by parliament) police would be able to arrest, detain and place before the courts any person they had reasonable and probable grounds to believe was actively considering or had recently considered joining a criminal gang such as the Hells Angels, Mafia or any of dozens of other gangs (youth and adult) that are known to exist in every city and many towns across Canada. 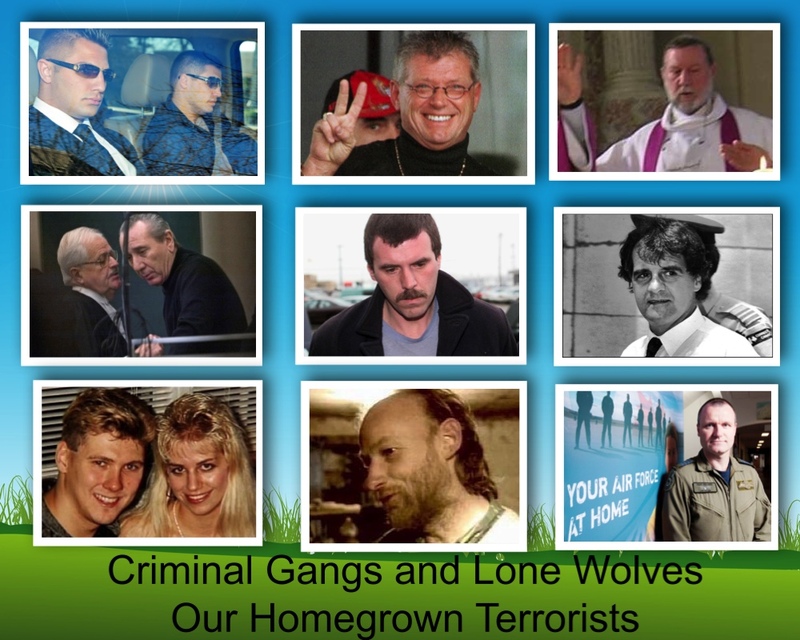 Collage: From the post: Advocating Terror to become a Crime: Take a close look at this collage if you want to see the face of evil of just a few of Canada’s more notorious terrorists: The Bacon Brothers (BC), Maurice Bouchard (PQ), Eric Dejaeger (Nunavut), Vito Rizzuto (r)(PQ), Alan Legere (NB), Clifford Olsen (died in prison)(BC), Paul Bernardo and Karla Homolka (Karla served 12 years after a plea deal) (ON), Willy Pickton (BC) and Russell Williams (ON). 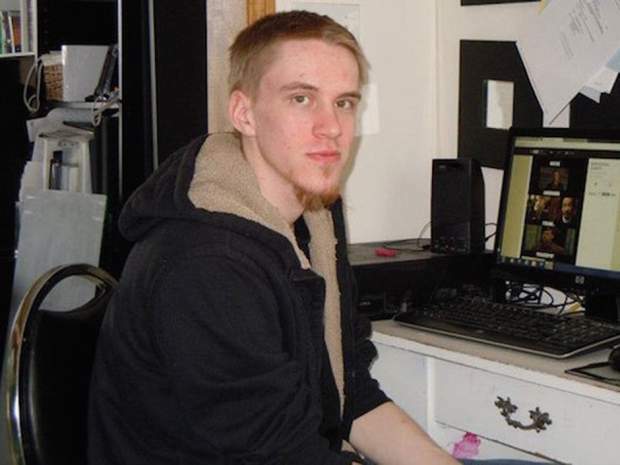 In terms of absolute evil, how do you suppose Aaron Driver or any of the other of the previously named Canadian ‘terrorists” over the past ten years would have compared? Canada has many hundreds of seriously dangerous criminals who have murdered, raped, robbed and addicted tens of thousands of other Canadians? 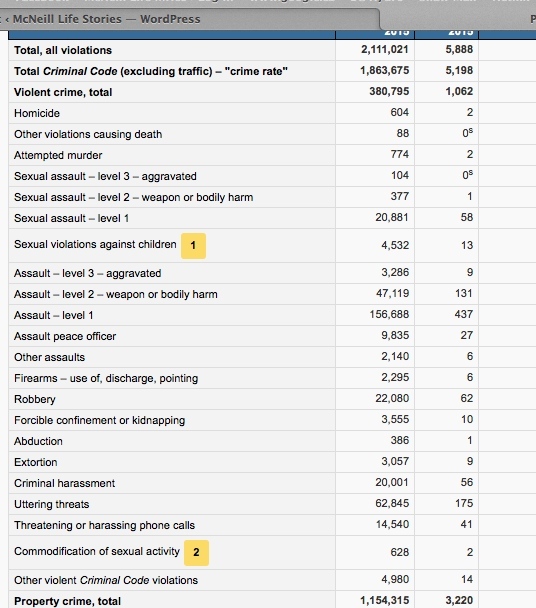 Over the past decade, that number would total about 3.5 million in terms of violent crimes (see chart in the footer). That number includes an estimated 6000 individual murders and 200,000 sexual assaults. Scan the chart and multiply each category by 10 to get a sense of how many people have been the victim of a serious criminal attack. Now think about the number who have killed or injured by an internationally motivated homegrown terrorist. That number is less than ten over the past thirty years. In fact, the last major terror attack Canada suffered was Air India bombing in 1986. 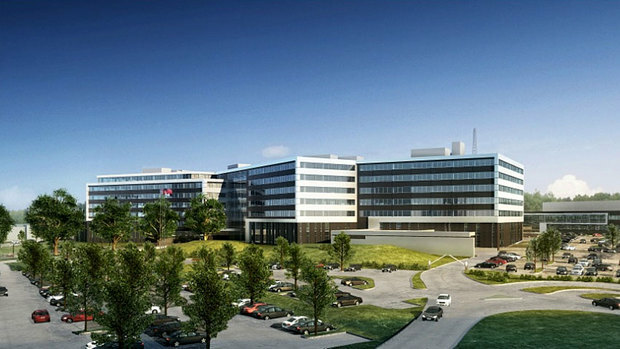 It appears this recent change of heart by the Commissioner, was prompted in part by the massive increase in gang activity in Surrey, B.C., home of the new RCMP high tech HQ (photo below) . It was from the Surrey RCMP HQ that 250 RCMP security officers directed the Nuttual/Korody terror investigation, a case now known as The Grand Illusion. It is hard to imagine how it came to be that two drug-addicted misfits were given such close attention for so long, when Surrey, B.C., the crime capital of BC, is a place where youth and adults gangs are given free reign as the city is so short of regular police officers. Further on the mind of the Commissioner, he must now also understand that experts in the field have long been aware that 99.999% of all crime committed in Canada is of the more standard type and that only .00001% is driven by ‘terrorist’ ideals. Clearly, the Commissioner and his immediate staff know there are greater opportunities in looking at the “criminalization” of young people, in the same manner, they have been looking at terrorist converts. That is, why not expand the arrest, detain and place on a peace bond to all sections of the Criminal Code. It is further suggested if an individual has taken concrete steps toward joining a gang (by loose association with the gang), the courts would be given the authority to force that person to wear a GPS tracking device. (National Post, August 17, 2016). 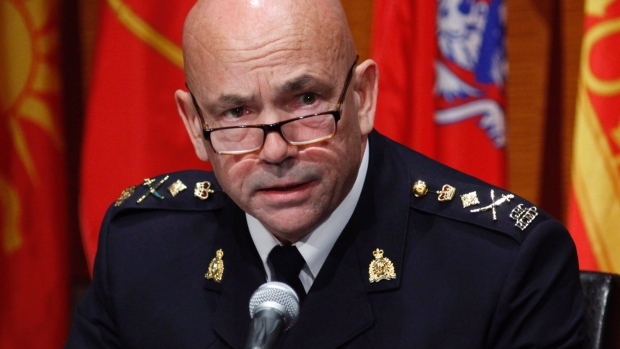 The RCMP Commissioner thinks that within five years of putting the program in place the RCMP and other police forces across Canada could identify tens of thousands of youth and other young adults at risk of becoming criminals and have the authority deal with them as if they were already criminals. It seems that now we have terrorism under control we are on track to eliminating crime. Thank you Mr. Commissioner.